Rappler surely knows how to spin news to favor the politicians they openly cheer. 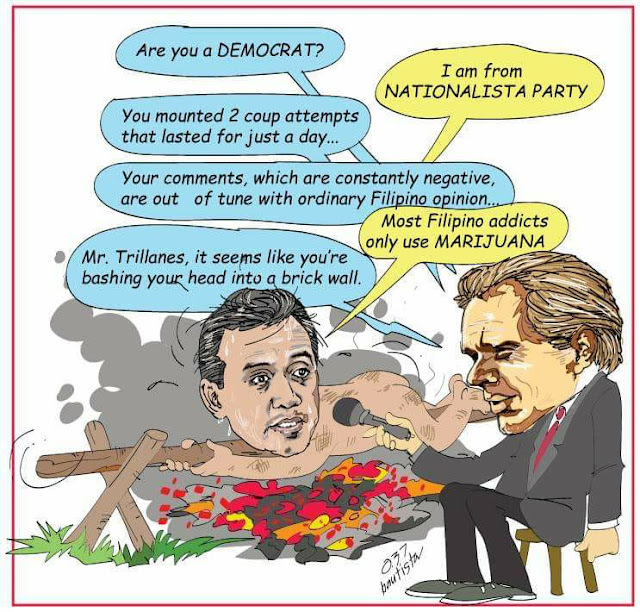 Take for example this recent incident involving Antonio Trillanes who was inordinately burned, more like butchered, during his interview on BBC which was aired throughout the entire world. 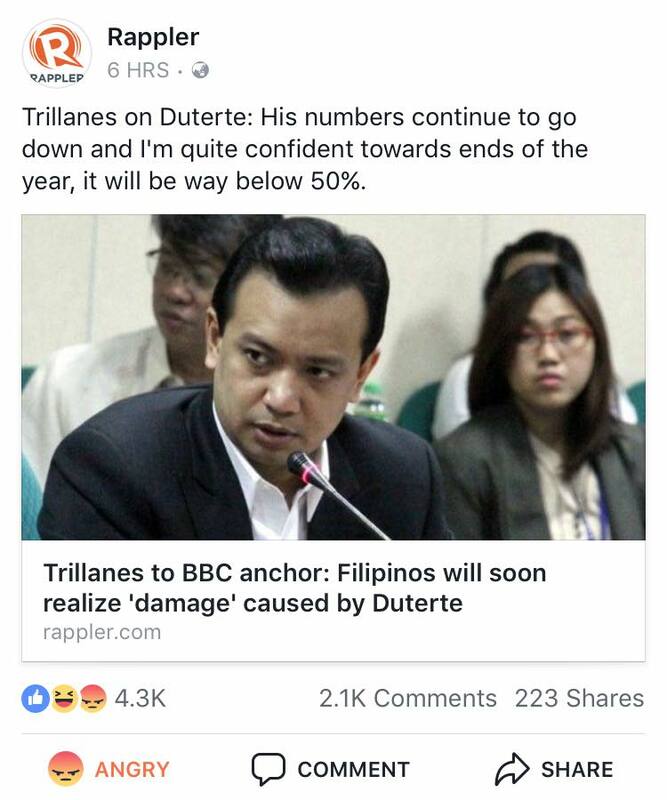 While the entire Filipino nation sees that interview as something that could lay Trillanes' political career to rest for good, Rappler unleashed its notorious spin masters to save Trillanes and make him appear as a hero. Pilit na pilit mga bes! We've seen how Stephen Sackur put Trillanes into his right place and told him how his comments, which are generally negative, are inharmonious from the general sentiments of the Filipino public. 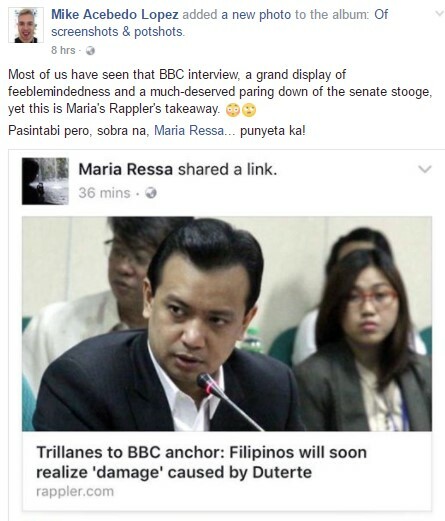 Trillanes' smacking down on BBC immediately set Facebook and Twitter on fire with netizens flooding their timelines with references to the said interview. How long does it take to expose a lying braggart? Philippine media --- cannot answer. Mouth stuffed with money. One comment said while also taking a jab at corrupt mainstream media in the Philippines. "Ladies and gentlemen, mga kababayan, this is what spinning to condition the minds of the people is all about. The entire world has seen the meltdown of the Senator yet Rappler sees it differently. This online news entity has taken the role of fault-finder in the Duterte presidency to the point of neglecting critical thinking, which is a very important aspect of Thought Leadership. I am amused," one comment also said. Rappler when will stop lying and start serving the Filipino people insted of serving the interests of your patrons? Maria Ressa, stop acting like an idiot.